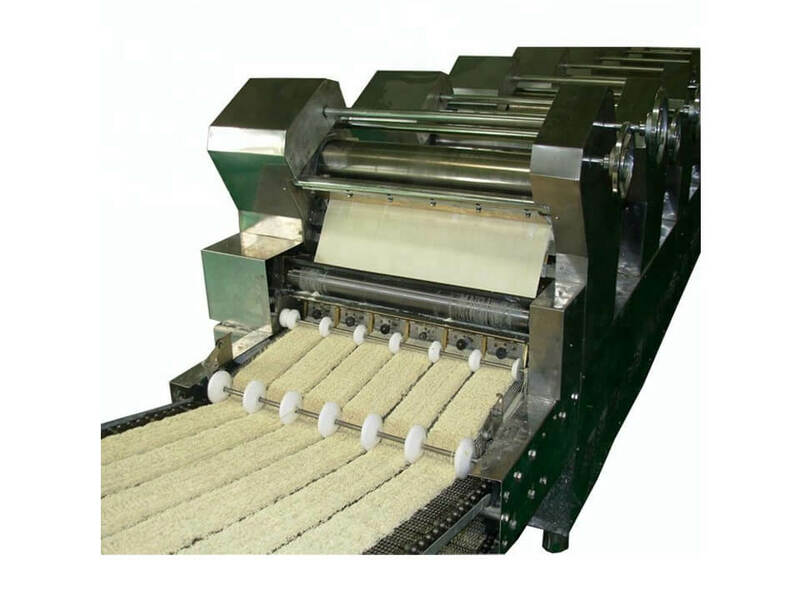 This fried instant noodle production line is designed to meet the need of increasing consumption of fast food instant noodle. This is a fully automatic production line employing most advanced technology. The whole production line adopts a programmable logic controller which can not only adjust the individual machine but also the whole production line. Meanwhile, if the data information of the production line or long-range control is required, the electrical cabinet can transmit the information to the computer terminal via the network. 1. The whole line is managed by advanced PLC controller and speed driver with stable performance and high level of automation. 2. 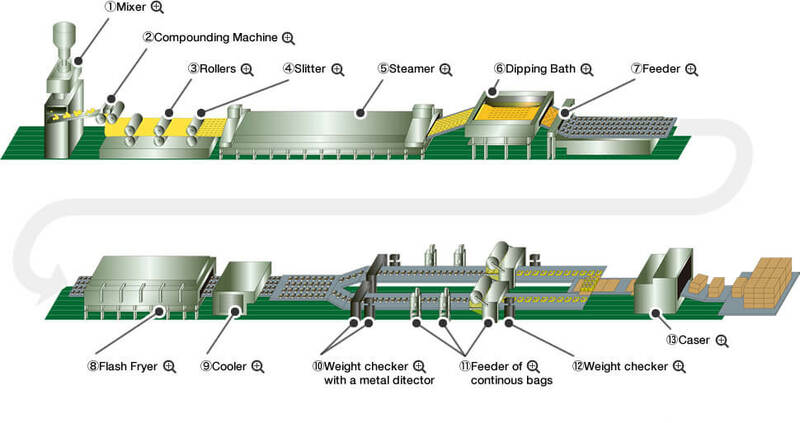 The operation process is in a simple, accurate with high productivity and energy efficiency. 3. The electronic components installed in the production line are all purchased from the well-reputed international brand like ABB, Schneider. The cover and the bucket are made of stainless steel, which meets up with the standards of food sanitation and makes the whole machine beautiful, clean and easy to clean up. 4. 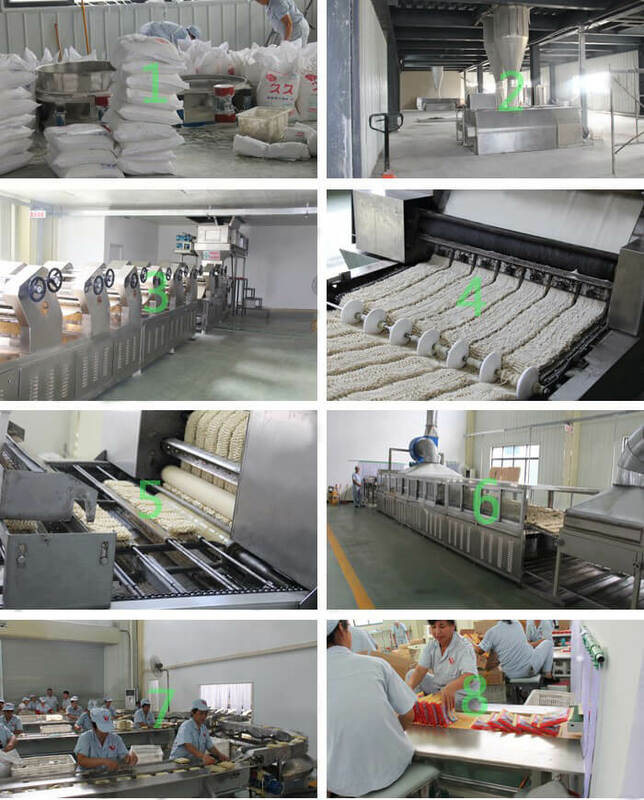 Equipment Composition: Dough maker → Shape former → Boiling machine → Cutting machine → Electric fryer/Steam fryer → Cooler. Instant noodles have become a popular food in many parts of the world, undergoing changes in flavor to fit local tastes. Addition of freshly chopped produce or healthy lean meat/fish to the finished noodle soup is a good way to add nutrition as well as good taste.